The original Arabic, Chinese, English, French, Russian and Spanish texts of the Basel Convention are equally authentic. They are deposited with the Secretary General of the United Nations, at the United Nations Treaty Section in New York. 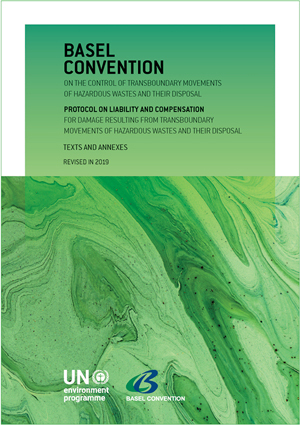 all transboundary movements to States not included in Annex VII tof hazardous wastes covered by paragraph 1 (a) of Article 1 of the Convention that are destined for reuse, recycling or recovery operations. This decision III/1 added a paragraph in the preamble; inserted an Article 4A; and added the Annex VII. In 1998, Annexes VIII and IX were added to the Convention by the fourth meeting of the Conference of the Parties, to provide further elaboration as to the wastes regulated by the Convention as listed in Annexes I and III. Since then, the Conference of the Parties has adopted various changes to these Annexes VIII and IX.